Snippets are little bits of code or text. There are 2 types of snippets - project snippets and personal snippets. 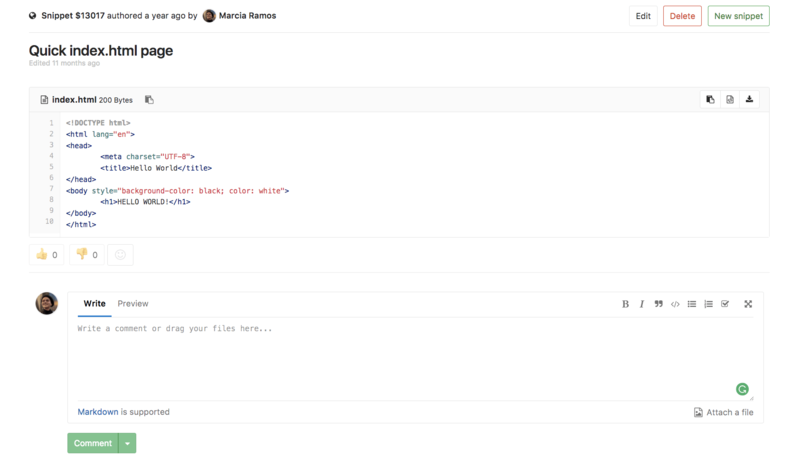 Note: Comments on snippets was introduced in GitLab Community Edition 9.2. Project snippets are always related to a specific project - see Project features for more information. Personal snippets are not related to any project and can be created completely independently. There are 3 visibility levels that can be set (public, internal, private - see Public Access for more information). By default snippets will be downloaded with Linux-style line endings (LF). If you want to preserve the original line endings you need to add a parameter line_ending=raw (eg. https://gitlab.com/snippets/SNIPPET_ID/raw?line_ending=raw). In case a snippet was created using the GitLab web interface the original line ending is Windows-like (CRLF).